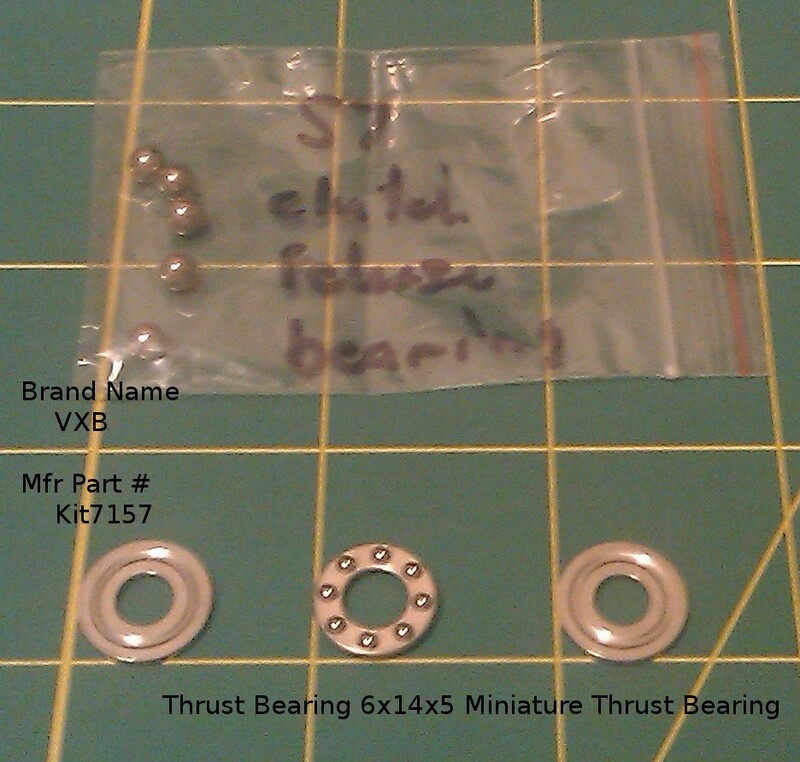 The VXB 6x14x5mm Miniature Thrust Bearings arrived today and were easily installed in place of the original balls. I added some moly grease for extra insurance. The height gain was only a few thousandths from the worn parts, and easily allowed the clip ring to be replaced with room to spare.